A house in the mountains is the perfect retreat, a place in the countryside where you can be sheltering from cold, protecting yourself from heat, and retiring to live moments of pure peace and relaxation. The natural environment can be enjoyed and the landscape can be lived; the architecture shelters us and the interior design takes us in. 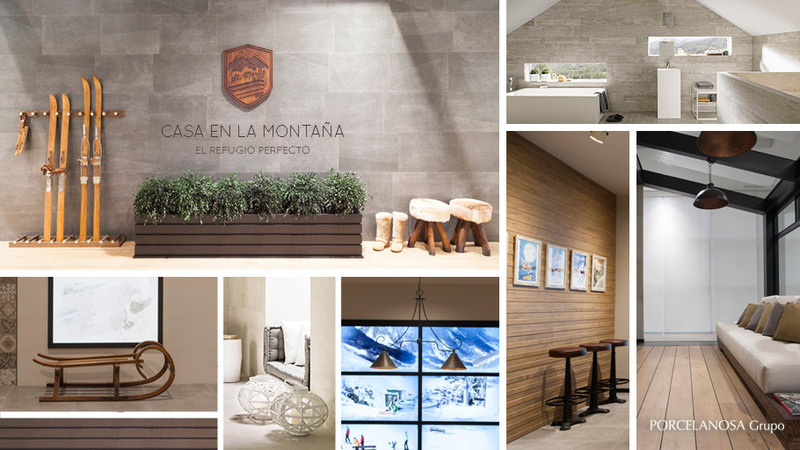 It is for this reason that, when setting up the design of our perfect house in the mountains, the style and the materials used have great relevance. The quality and resistance to the adverse weather conditions and abrupt temperature changes, will be crucial, as well as opting for products that provide both warmth and care. In every house in the mountains, there is an apparent authentic rustic look that reminds us of the magnificent outdoor landscapes. 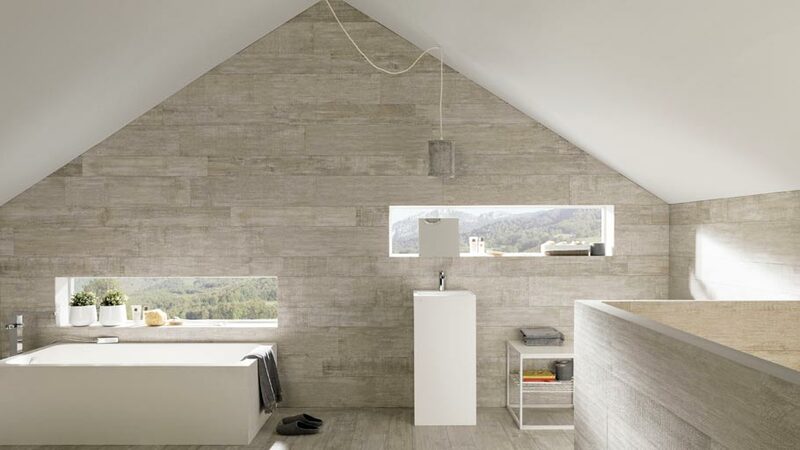 Both the naturalness and the purity of the environment is embodied in the interior design through integration into the floor and wall tiles made of natural materials such as stone or natural wood. 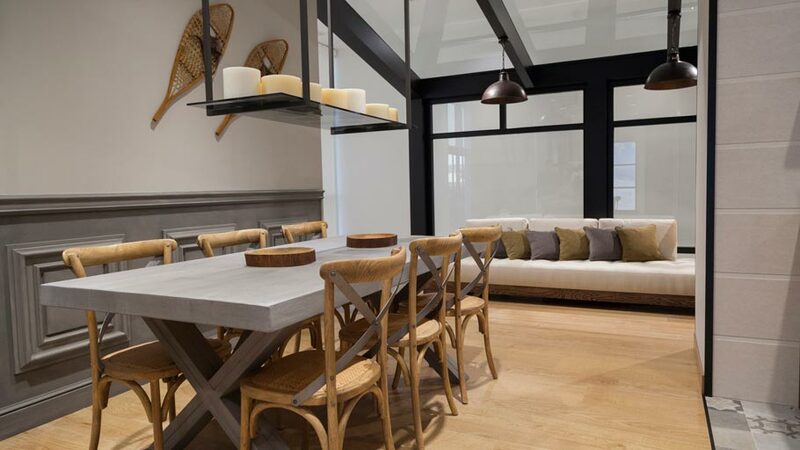 Materials that not only distinguish the spaces, but also provide a certain degree of both elegance and authenticity. 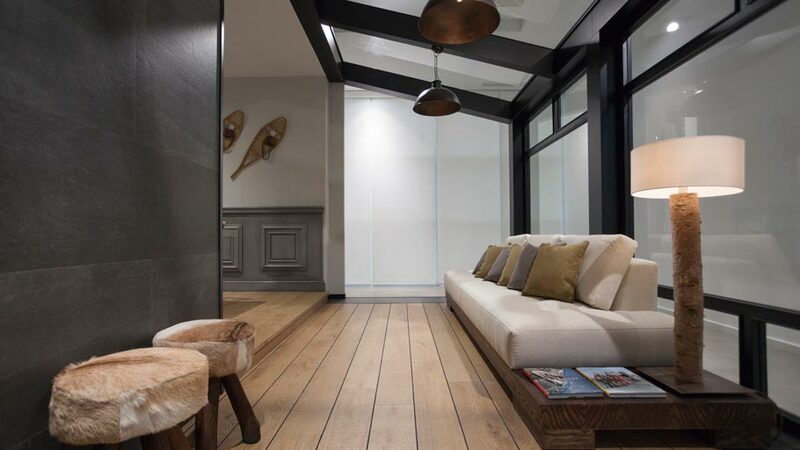 The PORCELANOSA Grupo firm, L’Antic Colonial, has flooring materials such as the Authentic natural wood in three tones: Anthracite, Chrome and Bronze; or Eden Texture Almond, whose oiled and clear tone finish is perfect for suggesting serenity and spaciousness. In Wall tiles, the most original mosaics made of natural wood such as the Wood Wall mosaics in its numerous variants become relevant. Regarding natural stone, L’Antic Colonial is characterized by the most exquisite floor tile, wall tile or bathroom equipment designs. 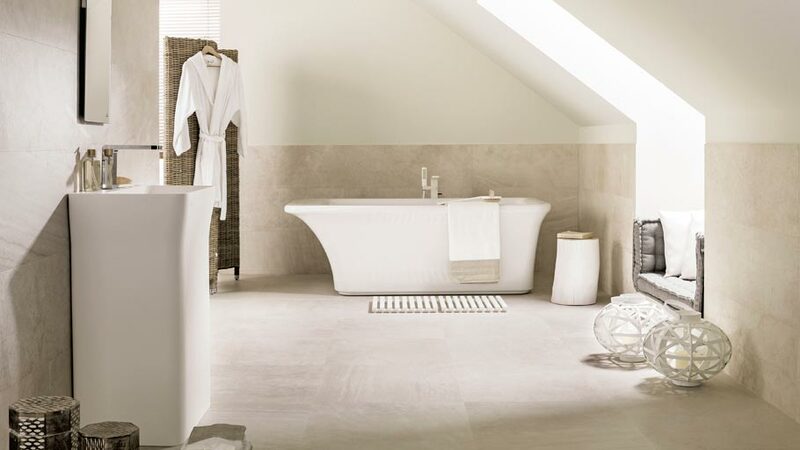 A special mention for the Aislate ultra-slim stone series: metal or Kashmir; Crema Grecia Classico, Habana Grey Classico or Persian White marbles; and the Faces basin and bathtub collection of pure style and sophistication. 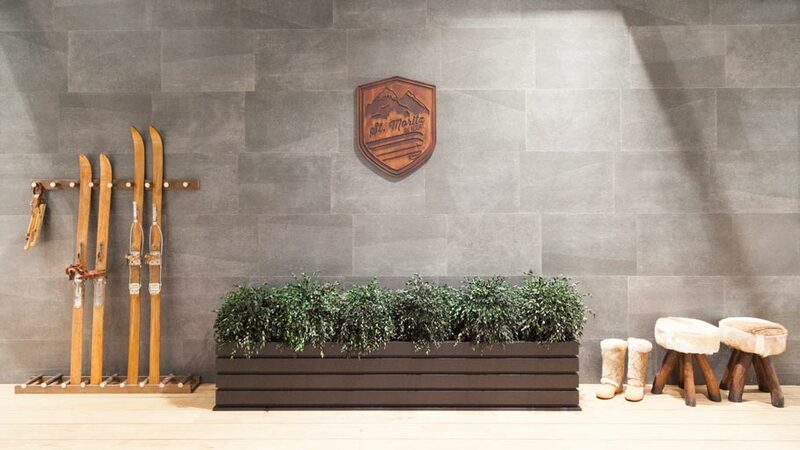 In contrast to natural materials, which require special care, Porcelanosa and Venis propose ceramic surfaces that mimic perfectly natural materials, incorporating the added qualities of both durability and maintenance without giving up creating the warm mood that a house in the mountains requires. It is therefore necessary to have porcelain manufactured under the most stringent of quality standards, while being based on the latest technology. PORCELANOSA Grupo proposes various options such as Boston Graphite, White Marmi XL, or the Bluestone ceramic blue beautiful stone. 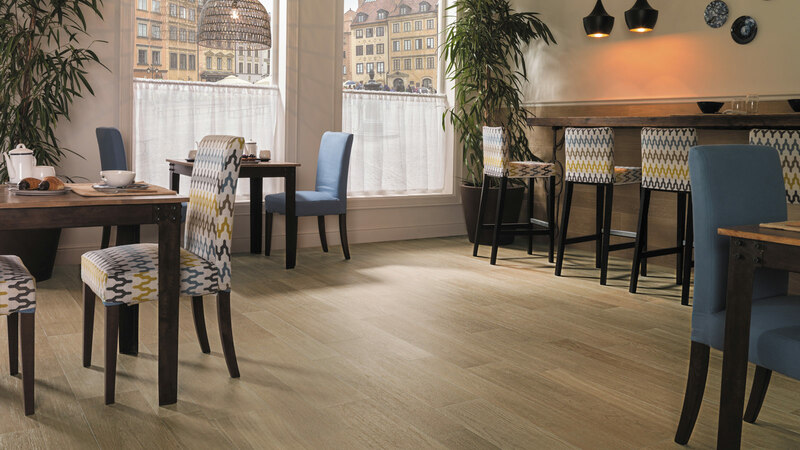 In imitation wood, however, options are presented through series such as the anti-slip Chelsea Camel or the Venis Hampton floor tiles, Amazonia or Misuri, among others. 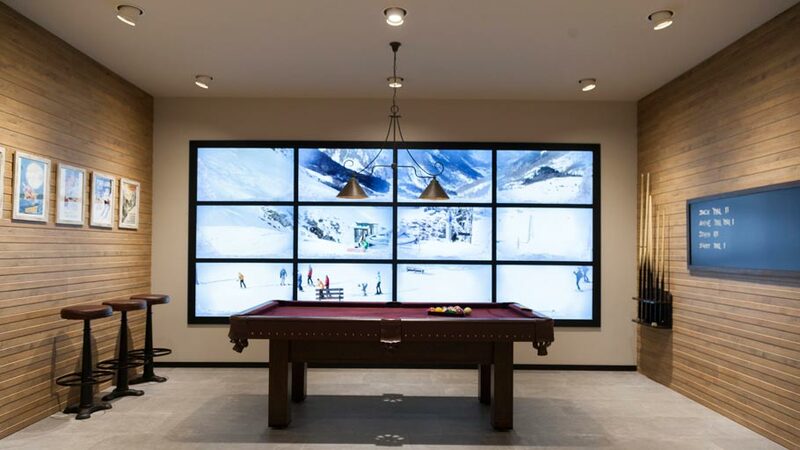 Giving relevance to the corners of your house in the mountains is also a differential option. Porcelanosa and Venis have ceramic wall tiles in a textured finish that not only surprising, but also stand out and captivate. 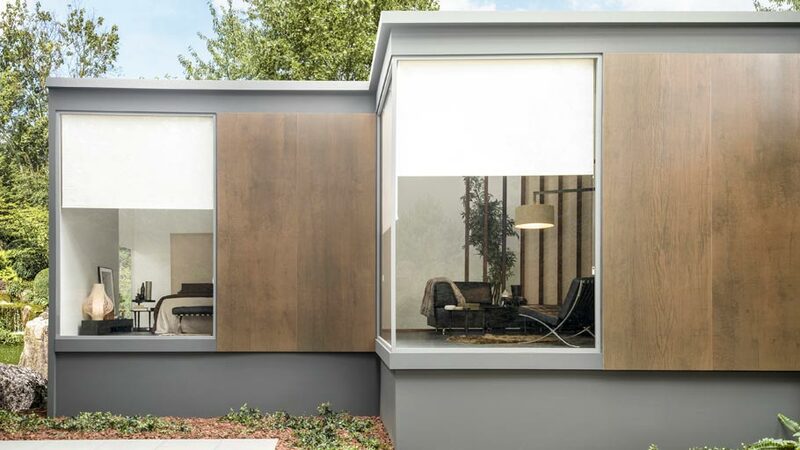 Projects such as the elegant white Java coating, in light tonality and horizontal with subtle borders; or in a wood look such as the Liston Chelsea Camel, both being the centre of attraction in every sense. Designing a shelter for your shelter thanks to the latest technology applied to the bathroom. 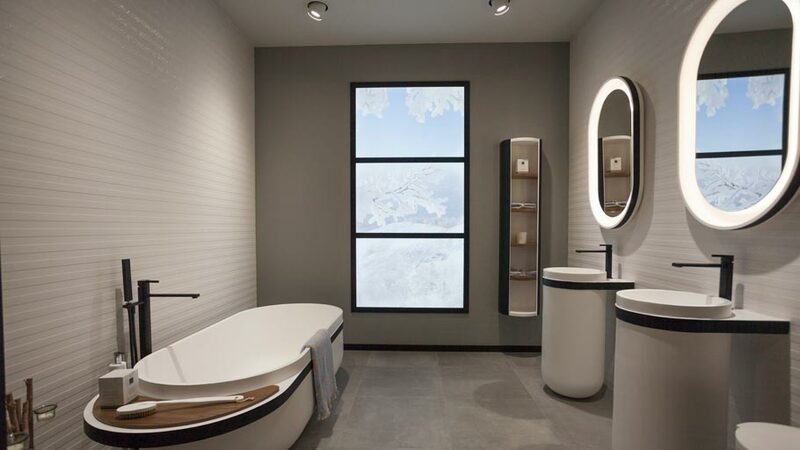 Noken Design proposes Wellness bathroom equipment with which living in the mountain is even more pleasant: whirlpool baths, combined with chromotherapy rain showers, are some of the options available that create a bath full with different feelings and sensations. 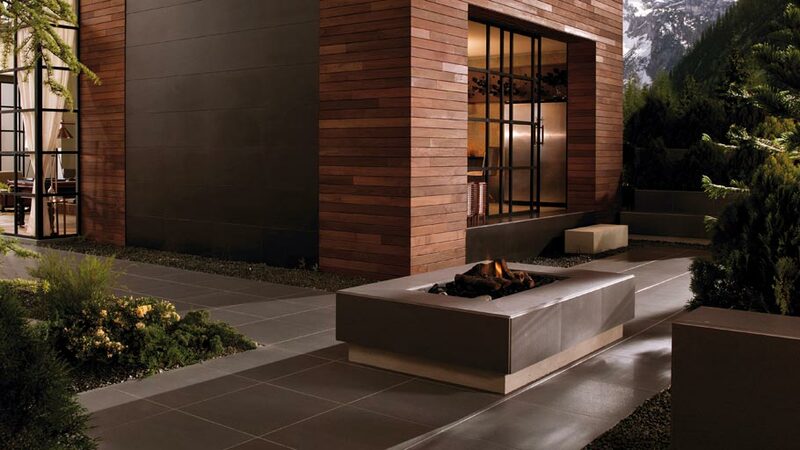 To get even more resistant ceramic surfaces is a basic requirement that makes the outdoors another part of the home. 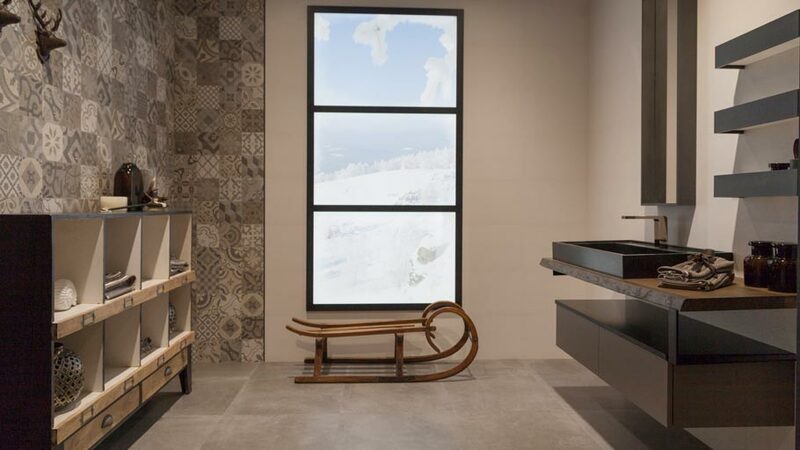 Urbatek and its full body through-body porcelain offer perfect technical projects for the most demanding areas of your mountain home: kitchen, bathroom, the high traffic spaces such as corridor and, of course, terraces and outdoor areas. 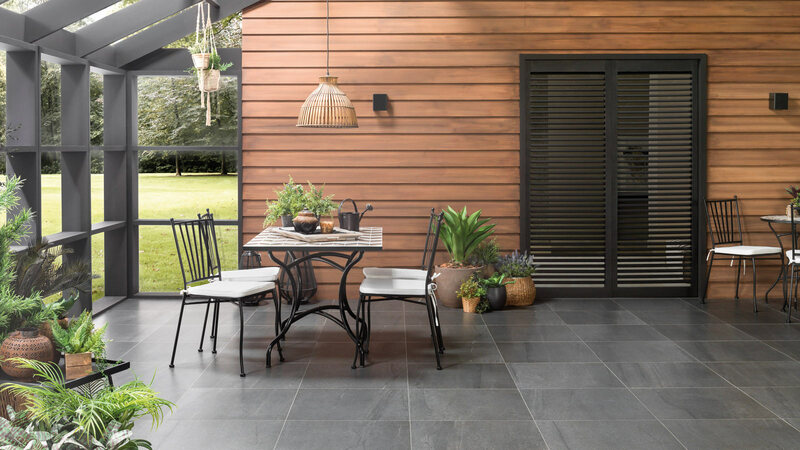 In this sense, it is also possible to create magical places in your mountain home with this full body ultra-resistant ceramic through so original and beautiful designs such as Deep, Stuc and Concrete, or for wall tiles, XLight Wild and Nox porcelain tiles, wood imitation in extra slim ceramic or in a rusty iron finish, respectively. A masterful use of the right materials, done by the hands of great architecture and interior design professionals, that will turn a mountain house into a home which breathes the authenticity and character that any architectural project requires.